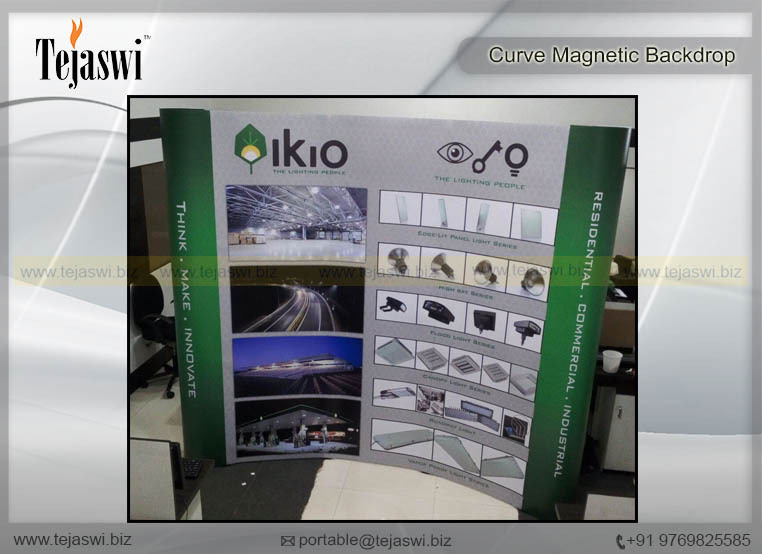 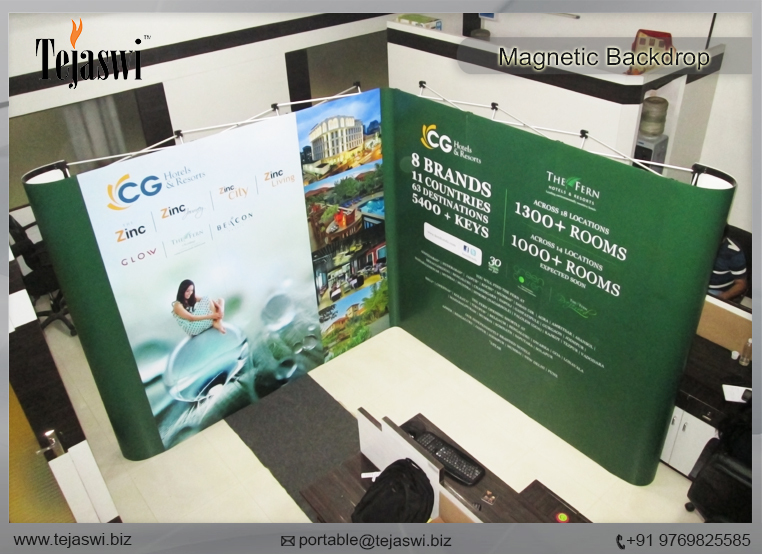 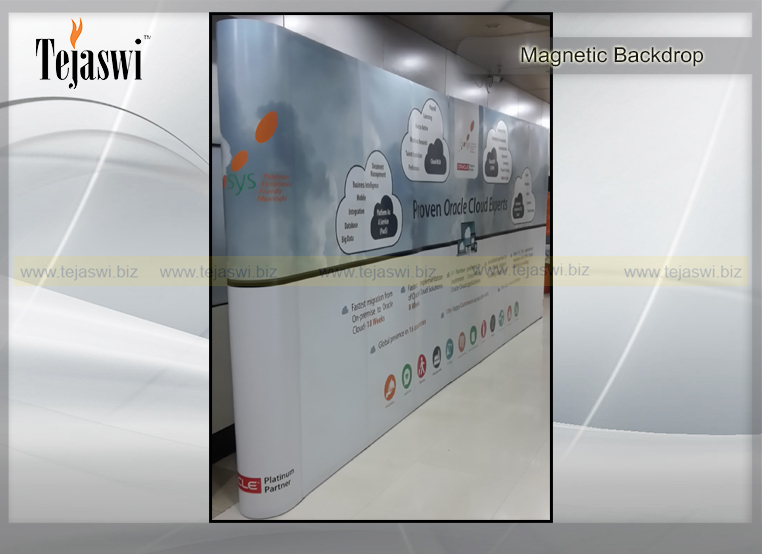 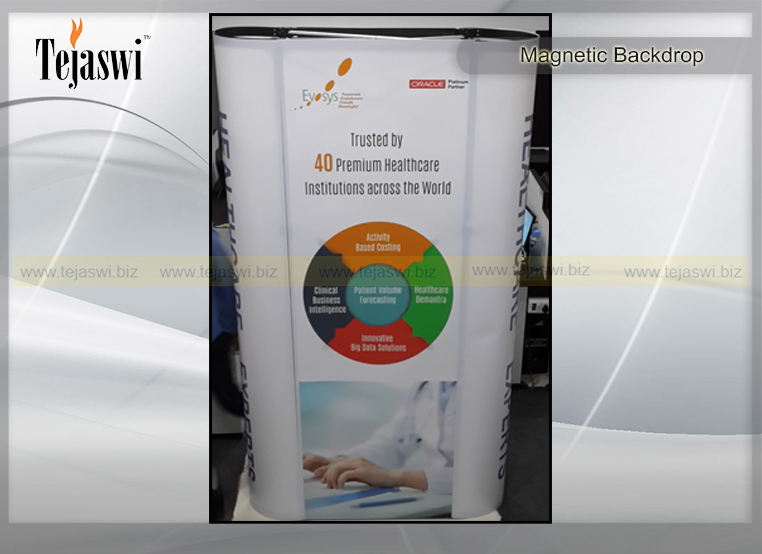 Portable Backdrop, Reusable Backdrop are Great Solution for Exhibitions, Events, Conferences, Seminars, Promotions, Brand Activation, Sales Activation etc. 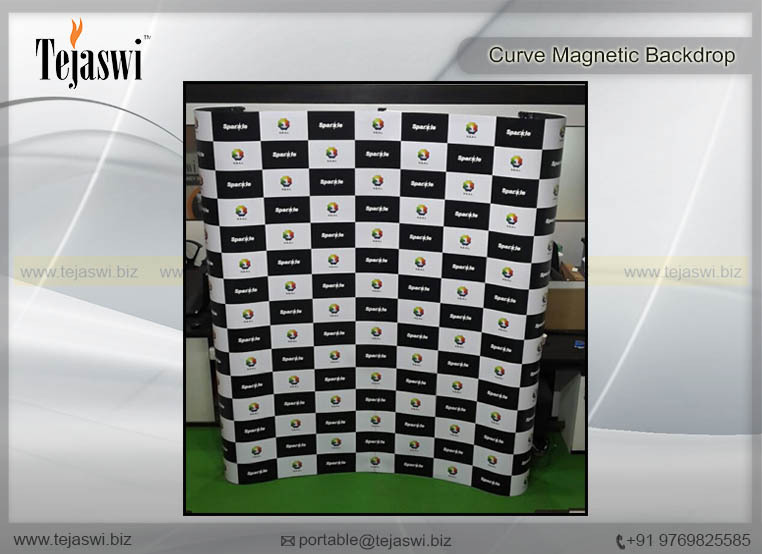 Whether any kind of activities these Portable Backdrops are Unique Ways to Project any Brand in the Market in a desired fashion. 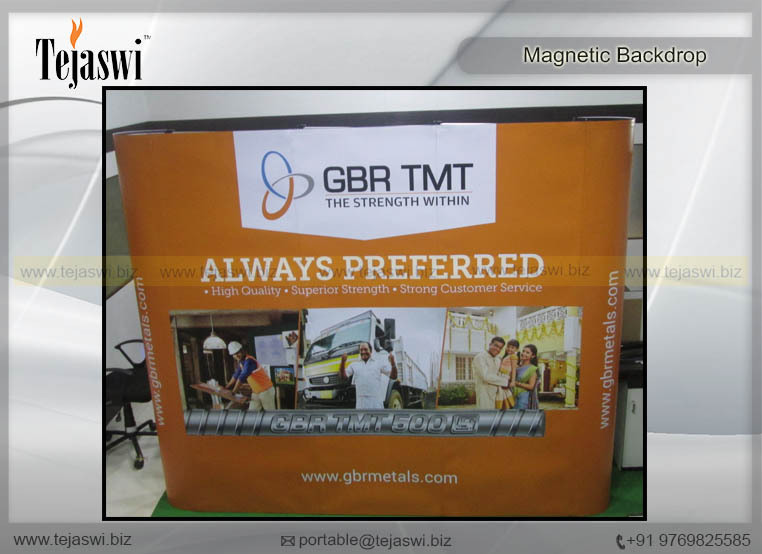 There are range of Portable Backdrops available in the market, in various forms and structures based on size, space and budget requirement. 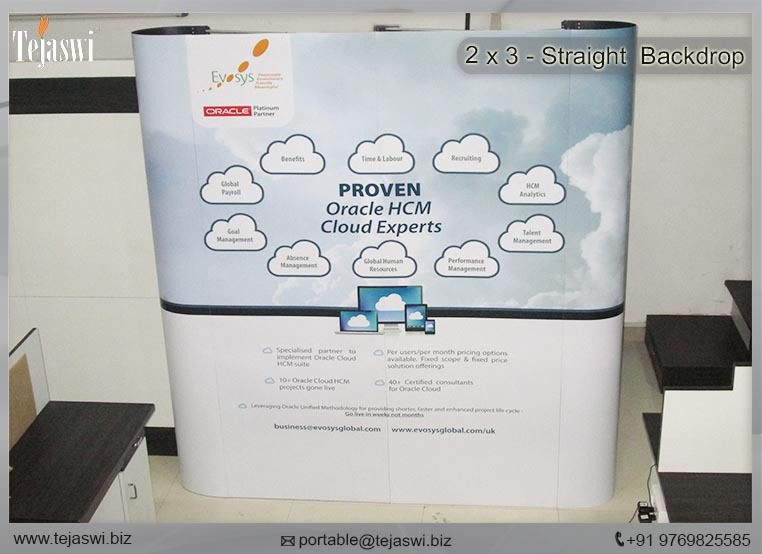 Each Backdrop Stands out on its own benefits and usability. 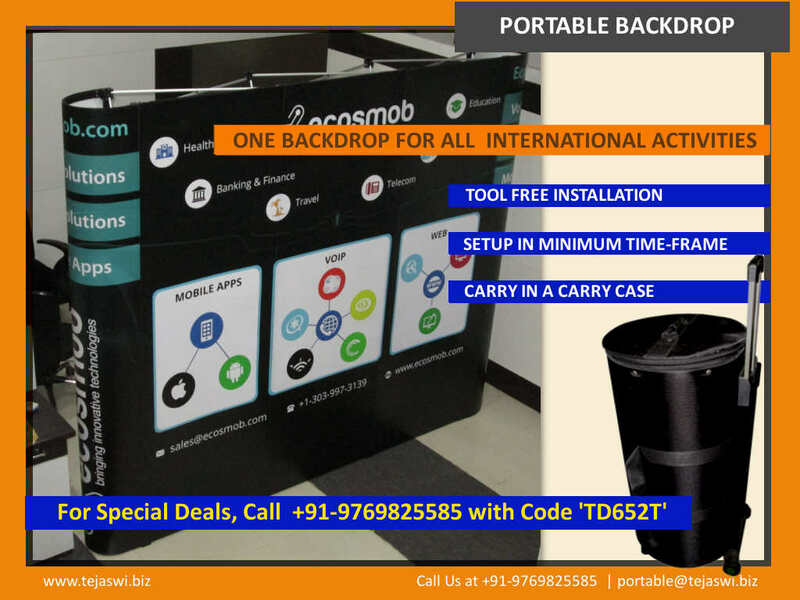 The main benefits are they are Portable in terms of easy to carry in a case and transported to location without much hassles. 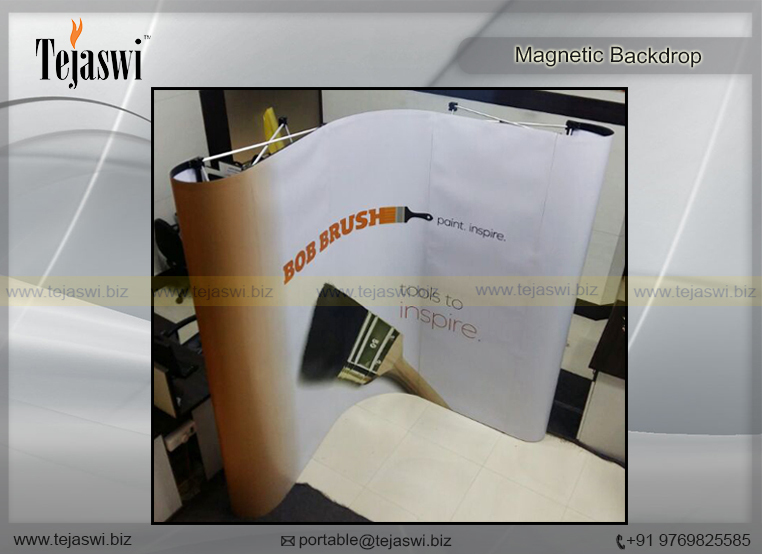 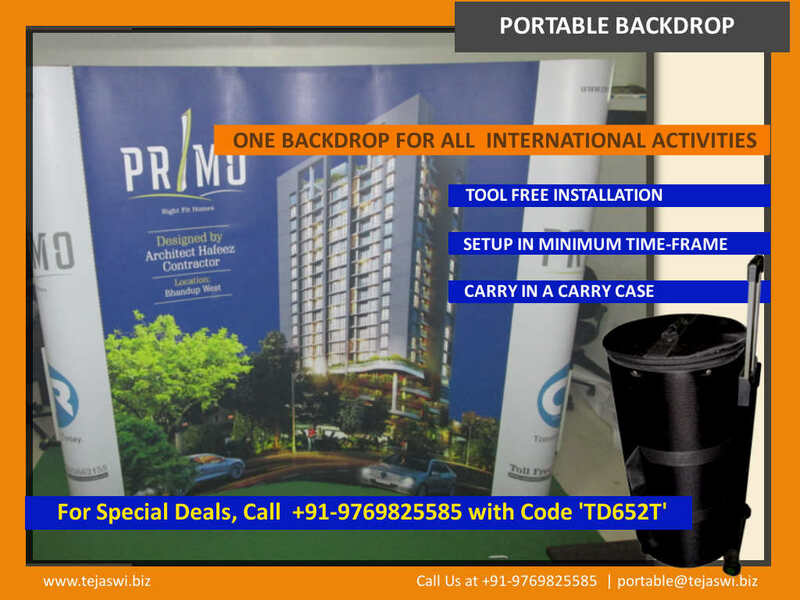 Each Portable Backdrops comes with a set of materials and setup instruction as to aid in minimum time frame for installation and dismantling. 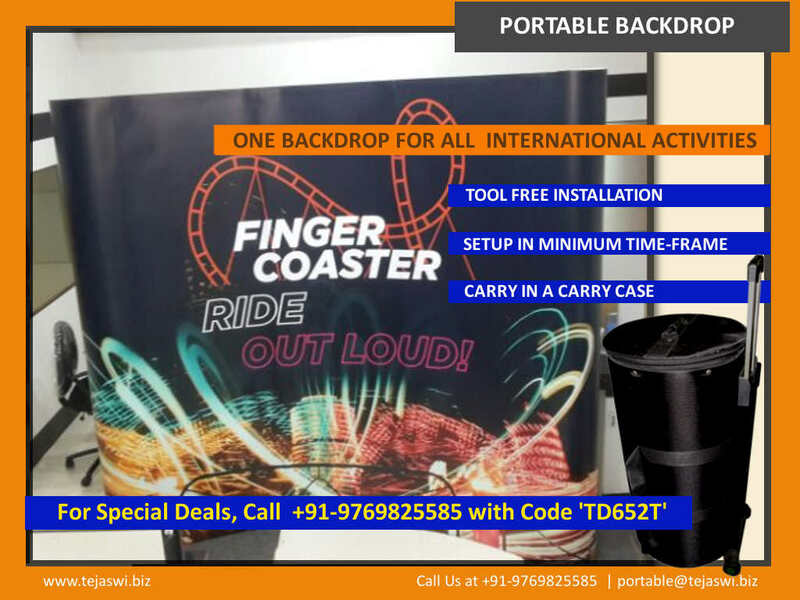 These are all hassle free structure you can carry last minute for your activities and set up in not time, while others struggle to their setup. 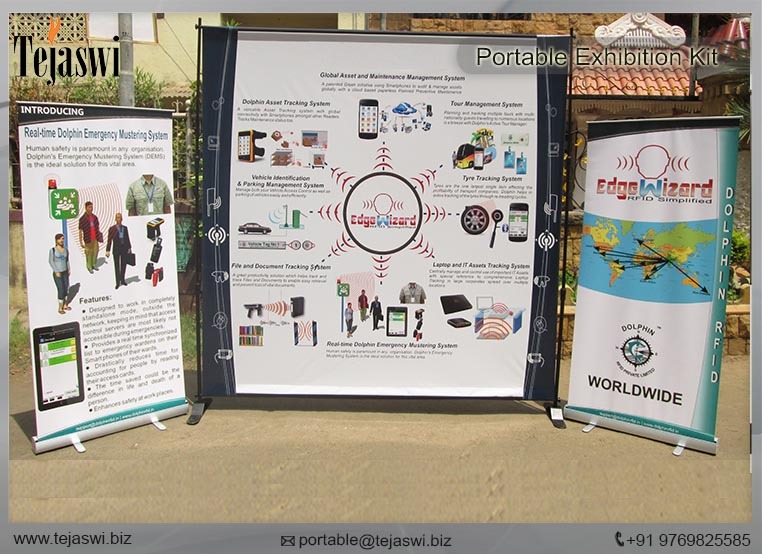 You can walk in to any Event or Exhibitions or Seminars or Conferences or Promotions or Brand activation with your Backdrop and start the activity immediately without much hassles at all. 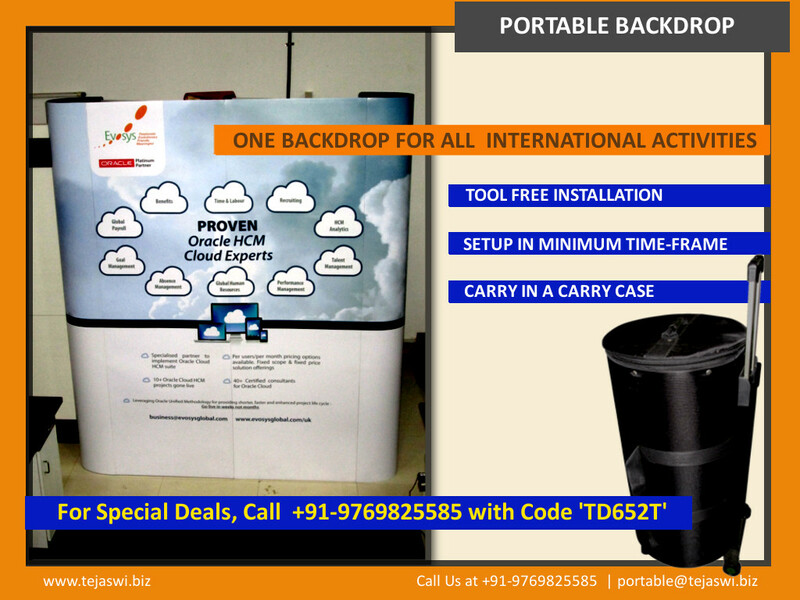 Custom Carry Case for Individual Backdrops as to easily transport to location and save on logistics. 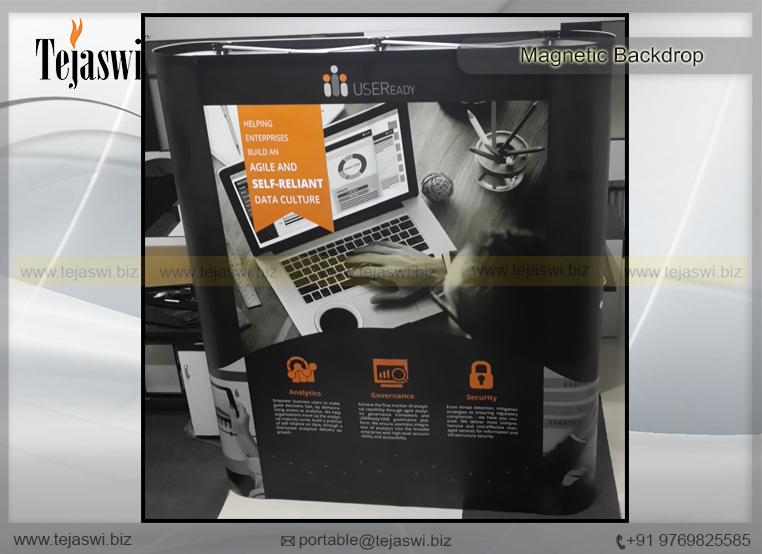 Exclusive Print changeable structure for reusing for various activities.